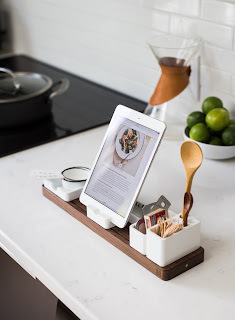 Smart Scales - These scales connect to your mobile device via an app and helps you follow recipes in addition to alerting you to the weight of what you’re measuring. Most will also adjust recipes if you’ve added too much of one one ingredient. Sous Vide Cooker - This method of cooking is slowly becoming more prominent in the home cooks' kitchens. These smarter sous vide cookers are able to tell you down to the degree what temperature your water is at so you can cook a delicious and favorable meal without burning or losing all the nutrients traditional cooking methods may cause. And most models are connected via bluetooth. Smart Meat Thermometers - Instead of having to constantly grab the thermometer to check your meat, these new wave of smart thermometers are connected to your mobile device via bluetooth and send you alerts when your meat has reached the desired temperature. No more guessing if your meat is done to the temperature you want and no more hovering over the grill, stove or oven. Intelligent Frying Pans - In addition to providing recipes, these new smart pans tell you when the temperature is right for adding your ingredients and when your food is done. They also help you maintain the correct heat so your meal cooks perfectly. Touted as great for beginners who may be unsure about when to add items or when they’re done cooking. And while this is not a cooking device, a bluetooth-enabled smart fork is a new way of keeping track of what you're eating. It's designed to track how fast you're eating and can log your meal-time habits. — Which can be handy post-holiday feasting. Almost any traditional kitchen utensil or appliance has a smart counterpart these days. And while those traditional tools still work and produce great meals and treats, new smart technology can boost your cooking prowess to impress your friends and family. So add these items to your smart kitchen this holiday season. Because before you know it, they will all be connected to your home automation system, and all you’ll have to do is ask your kitchen to whip you up a batch of Christmas cookies and wait for the oven to ding. You're taking the leap. You're going to become a smart home owner (pun intended) and add some smart technology to your home. Even better, you're going to automate your home so all your new technology works in harmony together for a wonderful, hi-tech lifestyle. But where do you start? First, consider what areas of your home you want to add smart technology and ultimately automate. The obvious, and maybe more glamorous one, is your entertainment center. Systems can be put in place so that you create a seamless visual and audio experience in your entertainment center. But also consider other areas of your home like lighting, comfort (controlling the temperature and opening/shutting the blinds), and security. Each area of your home will require a different project and system to create a more comfortable lifestyle. Once you've decided what you would like to automate, decisions on how extensive each system should be are next. Technology is always evolving and the newest device is always right around the corner. The latest gadget might have all the bells and whistles, but may not be compatible with all the other systems in your house. And this is fine, if you are an early adopter with technology and don’t mind that your home automation may not be seamless, or if you are only automating one or two areas of your home. However, a home that automates multiple areas would benefit from a much more in depth system that is compatible with various technologies. This would allow systems to work together smoothly to create that simplified lifestyle. Finally, your smart hub to control all your new technology can be programmed in a couple of different configurations. It can react to events: like when it senses you are home, the lights turn on and the thermostat changes. Or it can have pre-programmed scenarios: each morning during the week, it can get the coffee started, open the blinds and turn on the news. Also, consider how you want to interact with your hub. All hubs can be communicated with and controlled through one app on a mobile device. However, some smart hubs can also respond to voice commands. Just be mindful of where your hub is located. Depending on the layout of your home, will your hub be able to hear you or pick up the commands from the TV (don't laugh, it's happened before!)? Making the decision to improve the functionality of your home may be a simple one, but considering all factors can make it more complicated. It’s a fun and exciting project to begin, but can be a daunting one once you’re in the thick of things. Thinking through all the details of adding smart functionality to your home will better prepare you for the upcoming task and allow you to enjoy your smart home once you have a plan. Terracom Systems can take your vision, work with you, and implement it into your home. Should You Automate Your Own Home? Now that home automation kits and equipment are becoming more mainstream and accessible to the general public, the thought to build your own home automation system resonates with a lot of people. After all, it has to be a lot cheaper to do it yourself than to hire a professional, right? And how hard could it be to install a few gadgets and sync it up to your mobile device? Sure you could install a home automation system yourself. But let’s look at the pros and cons of a do-it-yourself installation versus hiring a professional. When you first start out planning your home automation renovation, you’re probably seeing the end product. Visions of voice controlled lighting and sound, a state-of-the-art security system and a home entertainment center to rival the Joneses are the motivation to get started on upgrading and adding to your home electronics. However, you’re just one person, maybe two. And your knowledge of how all the equipment gets installed into your home is limited. You may be motivated enough to do some research so you install everything correctly. But the time you invest on making sure you do it correctly just makes your final project get further and further away. The timeframe to install your own home automation system can take quite some time and can be a daunting project. However, when you hire professionals, their knowledge and expertise can cut that timeframe down dramatically. There’s no questioning whether the correct wires were connected or the correct piece of equipment was installed in the most optimal place. Even if sub-contractors are hired, your home automation experts can efficiently manage and communicate with all parties taking the stress, confusion and elongated timelines out of any DIY project. Ok, so we all know that the professionals have the knowledge and expertise to quickly install your home automation projects. But they also do more than just take equipment and plug it into your home. They take into consideration your style of living and can suggest what products will work and look the best for what you want to achieve. While you can have a good idea of what will work in your home, a professional installer knows what products can integrate seamlessly into your lifestyle. And to build on that, they also keep up with home automation trends. A good home automation expert will be able to tell you about any new technology that is growing in popularity and give you an educated recommendation. While a DIY project can save you money in the long run, the time it takes to achieve your integrated dream home may outweigh the money you save. 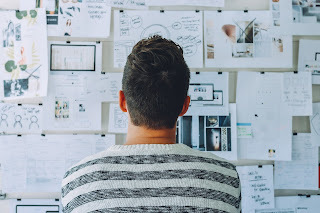 And if you’re not familiar or comfortable with home renovation projects that involve electrical systems, the additional time it would take to learn those components can add to your timeline. In addition to a professional’s expertise and knowledge, a professional can ultimately give you peace of mind. Peace of mind that everything’s been installed correctly and accurately. And if home security is part of your home automation project, then peace of mind is the most important aspect of that project. 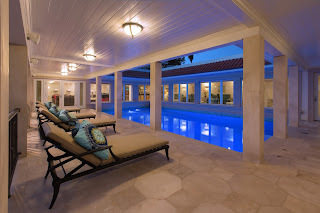 So trust your home automation design to a professional and sleep peacefully at night. Contact Terracom Systems to get started on your home automation project. We all wish that we didn’t live in a world where we had to lock our doors and take numerous safety precautions when it comes to our home. 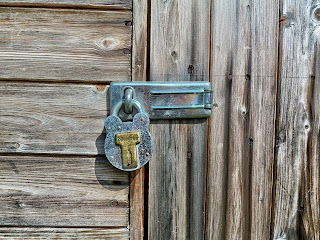 Unfortunately home security is something we have to think about for yourself and your family. So how extensive do you go? A simple bolt on the door? An alarm system? Or perhaps something more comprehensive with motion sensors and video cameras. With today’s advanced technology, a custom home security system is easily attainable and user friendly. Lights can turn on when a motion sensor is triggered or you can even schedule specific access times and codes to visitors (or teenagers). Integrating your home automation system by connecting your lighting, electronics, blinds, etc. easily provides a new level of security. Some systems even have pre-programmed settings in which the lights, TV and blinds can be activated so to appear as if you’re in your home even when you’re not. Now with home automation, turning on lights, setting the alarm system or authorizing visitors can all be controlled easily from your mobile device. And with mobile devices, gone are the days when the security control panel required a world record sprint down the hall and through the house to de-active the system before the alarm sounded and alerted the police. Now, systems are integrated easily to your tablet, phone, or other mobile devices. If the alarm goes off, whether you’re home or not, you can easily see what alarm was triggered and de-activate it if necessary. Security camera feeds can stream directly to your mobile device. Thus allowing you to confidently grant a guest entry to your home. But not everyone needs or can afford every single security feature. Terracom custom builds each security system to meet your specific needs and budget. So that if you have pets, teenagers, or little ones, your home security plan can take into account who’s roaming about or opening doors. And you can monitor all that from your mobile device. No matter your set up, you can feel comfortable at night or when you leave the house. TV Installation 101: How to Avoid Accidental Holes in the Wall. 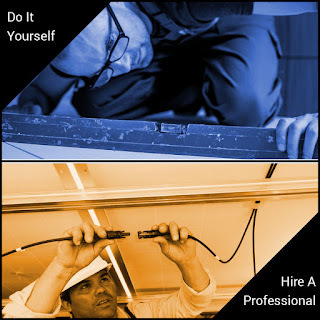 Hire a professional. You have a vision of a do-it-yourself home entertainment space. And that all begins with the installation of your stunning LCD TV. Of course it has to be wall mounted so everyone has an optimal viewing spot. Measurements are taken for the perfect spot, maybe even a few times to make sure you know exactly where the TV is going to go. You head out to the hardware store for the mounting equipment and return home prepared to build your perfect entertainment space. But then you realize your measurements were a little off or you got the wrong mounting hardware. And there's the task of hiding all those cords. This seemingly simple task begins to be more arduous than envisioned. 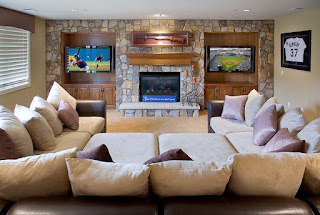 Luckily Terracom Systems knows the exact hardware needed for your TV installation, how to conceal all those wires and can recommend the perfect spot so that everyone has the best seat in the house. No matter how your space is set up, our expert technicians can recommend the optimal placement on the wall based on your TV size. They can also suggest on how to set up your seating. Because no one wants to watch the show from two feet away. They also take into consideration how all the lighting (artificial and natural) can affect your viewing experience. And don't worry about the wires. Terracom's TV installers know how to conceal all those wires or get rid of them entirely though bluetooth and other wireless technology. 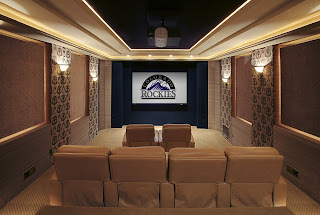 Our installers think of all the details that go into building your ideal entertainment space and apply that to where your TV should be placed. So avoid putting any unwanted holes in your walls and let Terracom install your TV the right way.